Safe and effective on all glossy paints and clear coats (not for use on flat, matte, or satin finishes). Meguiars Clear Coat Safe Rubbing Compound is a cleaner and scratch remover. 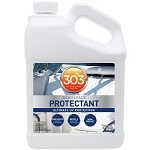 It removes oxidation, stains and also revives dull and neglected surfaces.